Peanut Butter and Awesome: Mario Kart 8 DLC Announced: Link, F-Zero, Excitebike, And Animal Crossing! 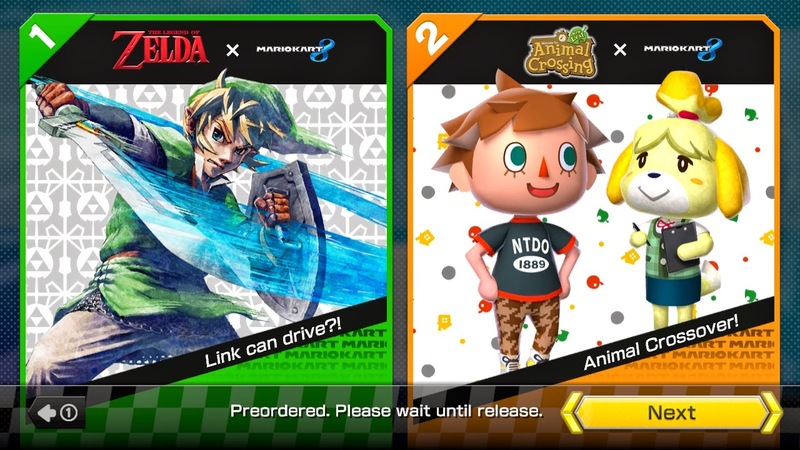 Mario Kart 8 DLC Announced: Link, F-Zero, Excitebike, And Animal Crossing! Shortly after waking up this morning, I turned on the Wii U to download the Mario Kart 8 patch that dropped today. The patch was supposed to bring online stabilization, a mini-map for the TV screen (as opposed to just the GamePad), and three Mercedes-Benz cars. It ended up bringing so much more along with it. Yes, that is indeed Link, Isabelle, and a Villager from Animal Crossing. 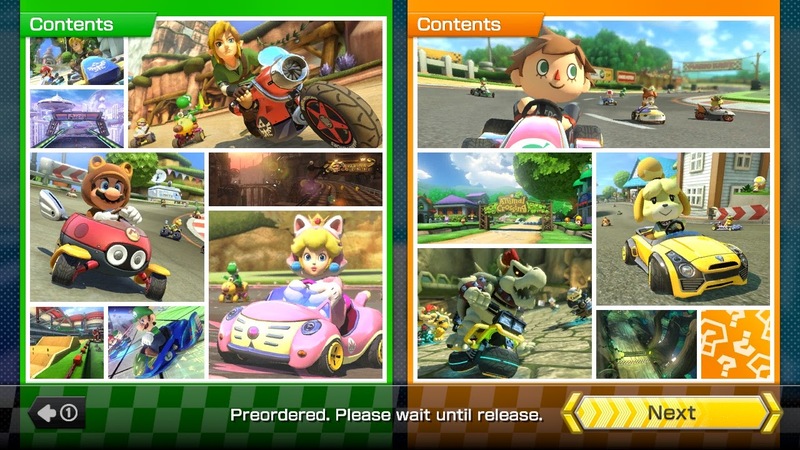 Those are the two announced DLC packs for Mario Kart 8. They aren't just bringing a few new characters along for the ride though. As you can see, we are getting more characters than just the three I mentioned. 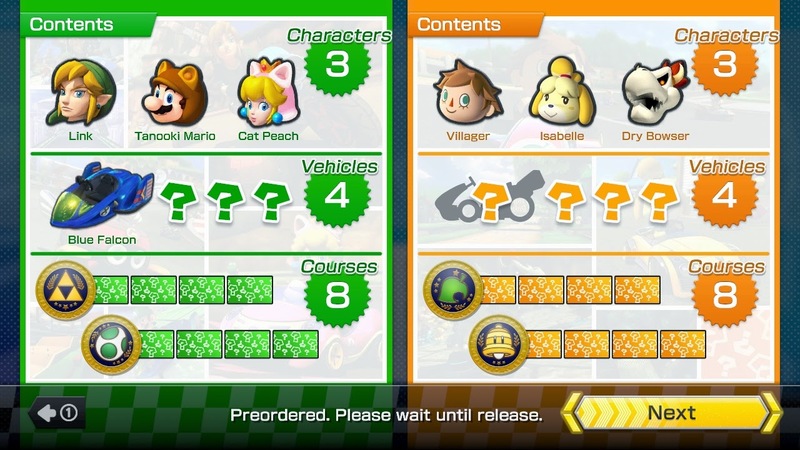 On top of the four new characters and two new "costumed" versions of characters already in the game, we are getting a total of eight new vehicles and sixteen new courses. Sixteen. Only one new vehicle was revealed (the Blue Falcon), with the rest remaining a mystery for now. There were only a few courses revealed as well, including Wario's Gold Mine and a F-Zero track. Judging from the pictures shown, there is also going to be tracks based on Excitebike, Animal Crossing, and The Legend of Zelda. The worst part about this is the wait. The Zelda DLC pack will be available in November for $7.99, and the Animal Crossing pack will not be here until until May 2015 (also $7.99). You can pre-purchase both in a bundle for only $11.99, and if you do that, you get another little bonus available to you immediately. 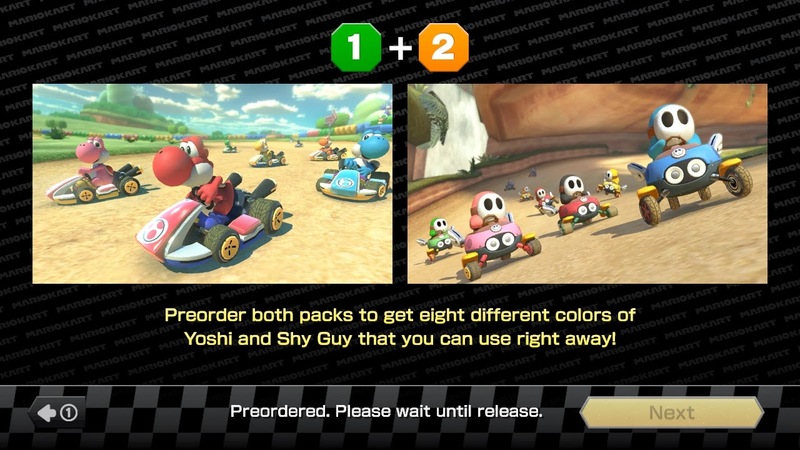 Eight new colors for Yoshi and Shy Guy. Way to go Nintendo, you have officially figured out the proper way to implement DLC!